A podcast about bicycle touring, bikepacking, bike camping... any way you describe adventure travel by bike, it's covered here! From tips and tricks to ideas on how to ride your ride. Let's shrink the world by bike. Stealth camping lets bike tourists keep costs down and ride more miles per day... but is it right for you? On this episode, we cover stealth camping upsides, downsides, tips, philosophies, risks, and some thoughts on the number one question... what to do if you get caught! On May 8, 2019, Rails-to-Trails Conservancy and our partners across the country are celebrating the Great American Rail-Trail—and you’re invited to celebrate with us! We’ll reveal the preferred route that the Great American Rail-Trailwill take from Washington, D.C., to Washington State at four trailside events, and we’ll be broadcasting it all live on our websiteand our Facebook Pagefrom 1-2 p.m. Eastern. We hope you’ll be part of this moment with us as we unveil the details of this incredible trail, where it will go and what it will take to bring it to life. Follow us on Facebook to stay up-to-date about the Great American Rail-Trail route reveal celebrations—and mark your calendars for May 8! Let's talk about "not illegal"
In some countries, people have the open right to wild camp. Yay for these countries! In the US and Canada (and other places) it's a lot fuzzier, but real talk... you are probably trespassing. Some places are posted no trespassing. Avoid those. Some places are obviously residential. Avoid those. Some places are not public land, but not posted. Some of those spots are places to consider IF and only IF you can be in and out with no impact. So many examples on YouTube of people doing it right and wrong. No, you can't just go in a firehouse shed without asking and be a jerk about it. I do not give you, nor can I give you permission to trespass. I know many people are comfortable stealth camping in spots that are posted, but otherwise public spaces (town parks, etc.) or private land where the impact of an overnight is minimal (edges of farms). Your line may vary. I don't stealth camp often, because I generally don't have to. But when I do, I tread verylightly, leave no trace, get in and out quickly and respect places that are explicitly forbidden. There are other POVs on stealth camping. I'm fine with what you choose to do, unless you ignore leave no trace principles. That makes you a jerk. 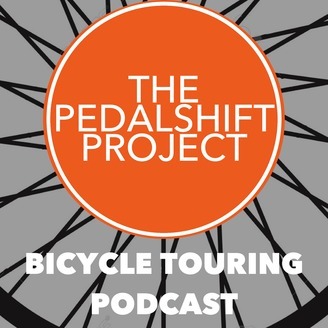 As always we like to close out the show with a special shoutout to the Pedalshift Society! 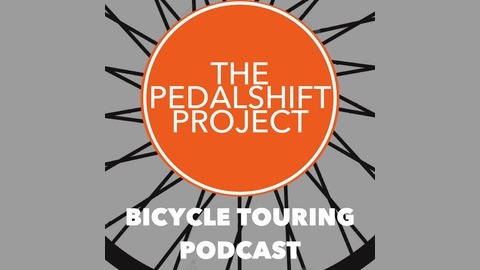 Because of support from listeners like you, Pedalshift is a weekly bicycle touring podcast with a global community, expanding into live shows and covering new tours like this spring's DC to Cincinnatti bike tour! If you like what you hear, you can support the show for 5 bucks, 2 bucks or even a buck a month. And there's one-shot and annual options if you're not into the small monthly thing. Check it all out at pedalshift.net/society. You've been hearing about Jason Kent and his music for many fine episodes. Their latest album may be their best yet. Go get it.